We are committed to protecting your personal information, as well as being open and honest about how we collect, store and use personal data. We know that your personal information needs to be kept safe, and we never give or sell any personal data to other charities or organisations. We will keep you up to date on our news, updates, events and projects. We will always keep your personal information safe, secure and confidential within YO STREET ZONE. We feel it is important that we are completely transparent about why we need the personal information we request and how we will use it. This privacy notice explains how YO STREET ZONE collects and uses your personal information. We will only collect and use your personal information where we have a legal basis to do so or where you have provided us your explicit consent to do so, and we will always respect your rights. You have given us your explicit consent to use the information for a specified purpose, for example to receive our update emails.  You have expressed interest in YO STREET ZONE by a positive action, for example by completing a registration form to take part in Our club or coaching or to hear updates about our events. We also reserve the right to apply our legitimate interest wherever we believe it is appropriate but we promise that we will never do this in an intrusive way and will always respect your rights and freedoms when doing so. Your name, address, telephone number, e-mail address, date of birth, your involvement with us and your contact preferences. Other information you provide to us from time to time which is relevant and necessary for us to collect and process. For example, the events or projects that you have participated in. We may also collect information about your activity online when you visit our website and when we send you an email. If you shared with us any sensitive information, the information you have provided will be kept by YO STREET ZONE and will be treated with the strictest of confidence. It will not be shared with a third party without your consent unless we have a statutory obligation to do so, or there are concerns for your safety which YO STREET ZONE has a duty to report to the relevant authority in order for appropriate action to be taken. To provide you with information and support for any events Or projects. To manage your contact preferences. If you ever want to change the way we keep in touch, just let us know by emailing i​nfo@yostreetzone.com or calling US on 07543 711917. To inform our digital and social media marketing. To comply with applicable laws, regulations, court orders, government and law enforcement agencies’ requests, to operate our systems properly and to protect ourselves, people we support, our supporters, our volunteers, our employed and funded staff and to solve any customer disputes. if you submit a contact form on this website, some personal information will be stored within this website’s database (weebly). if we invoice you, some personal information will be stored within our accounting software customer database (Kashflow). If we believe it necessary to protect or defend our rights or the personal safety of our personnel or a person we support. When we work with carefully selected partners, e.g. funders to ensure we can provide services to you. These partners (called ‘data processors’) will only have access to your information when the necessary contractual arrangements have been agreed and signed and they will always be obliged to follow the strict General Data Protection Regulation (GDPR) regulations. ​If you would like to amend your data in any way, please contact us on ​info@yostreetzone.com or 07543 711917.